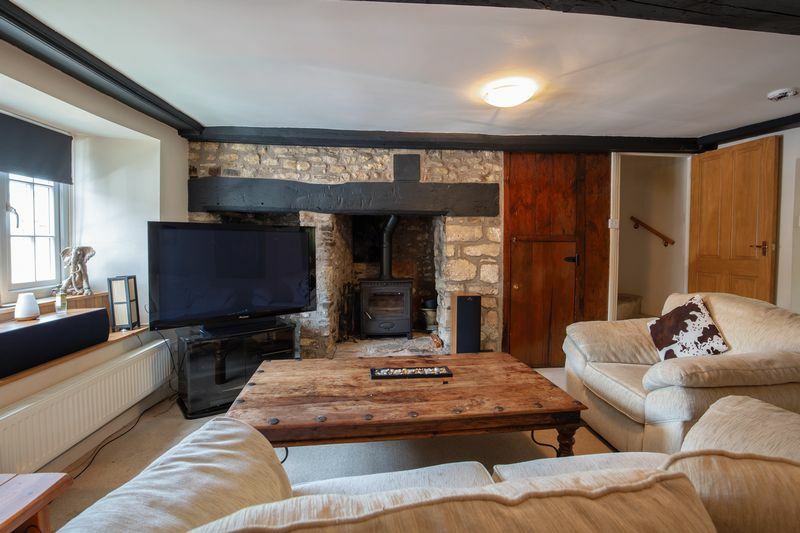 A delightful 3 bedroom stone built cottage with lovely features and enclosed rear garden in the heart of the village of Nunney. 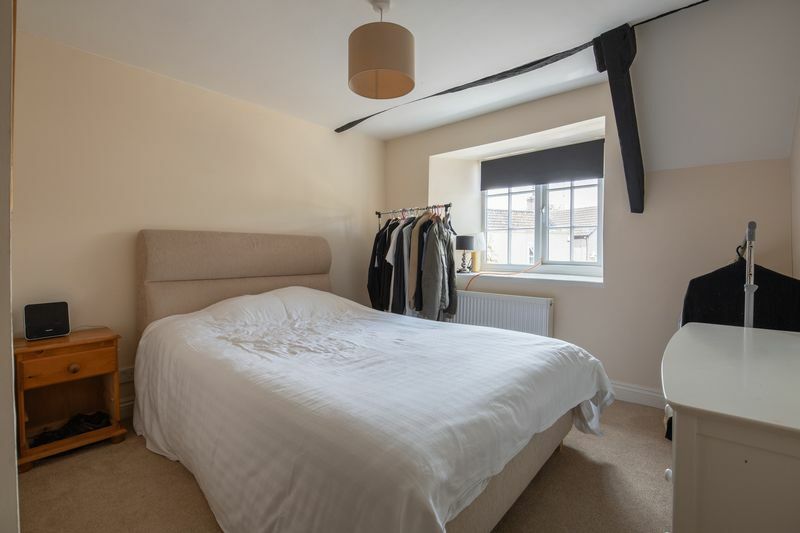 In a prime position in Market Square, this stone cottage has generous sized rooms which make the most of the space available. The front door opens into a small lobby which provides privacy from the street and also keeps in the warmth on winter days. The lobby leads into the sitting room which runs the width of the house. 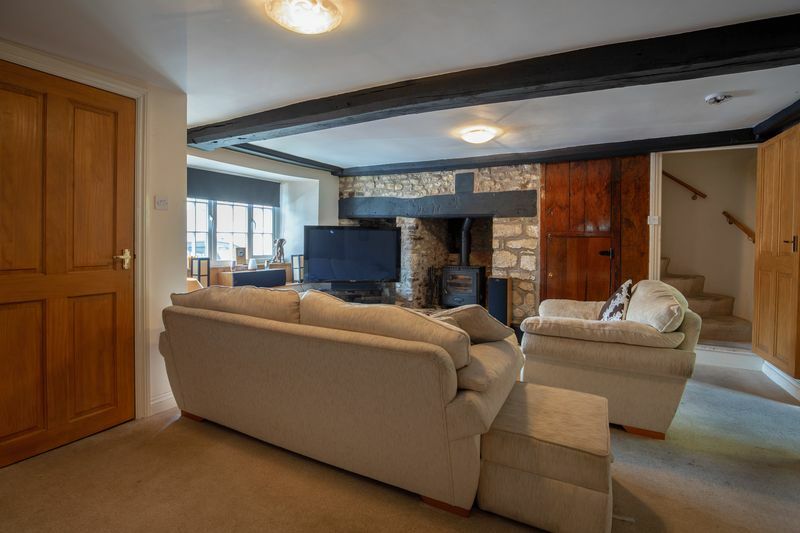 Windows on either side of the front door ensure that the sitting room is a light space, and the stone fireplace with logburner and the exposed beam give an authentic country cottage atmosphere. 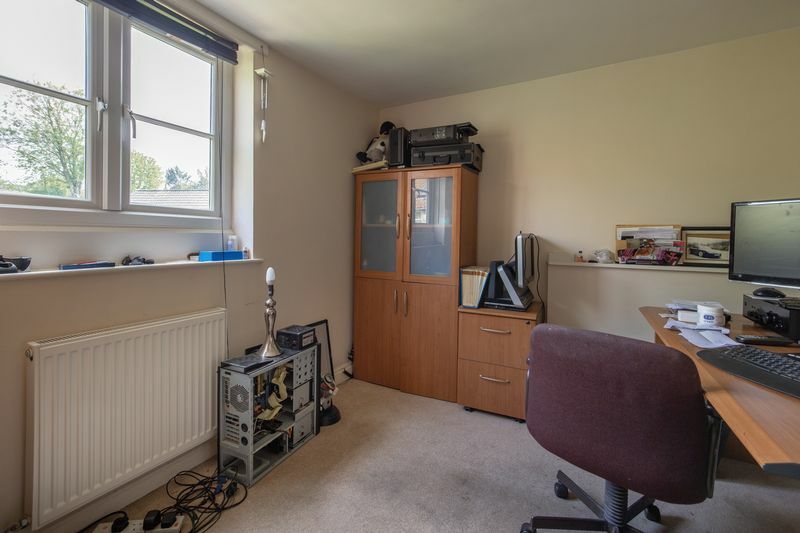 One corner of the sitting room houses a useful storage cupboard and stairs lead up to the first floor from the opposite corner, cleverly maximising the room's usable space. 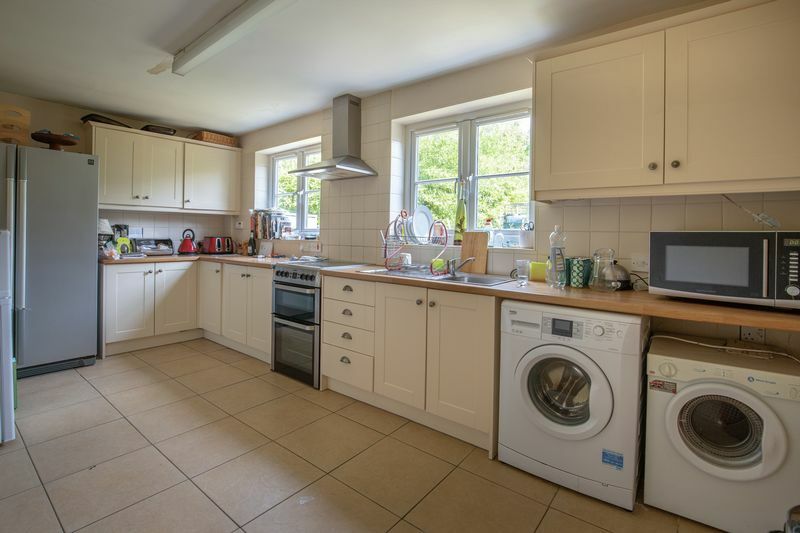 The kitchen runs across the back of the cottage, with a rear door leading out to the enclosed garden. The cream kitchen units, teamed with the light wood worktops and tiled walls and floor emphasise the feeling of space in the kitchen. Two windows look out onto the garden with its vegetable plot and playing field beyond. Stairs run up to the first floor from the end of the sitting room, tucked neatly away at the end of the cottage. 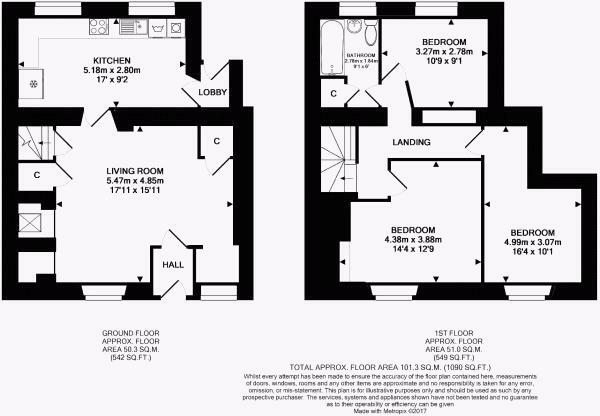 At the top the stairs open out to a landing which leads to three generous bedrooms. 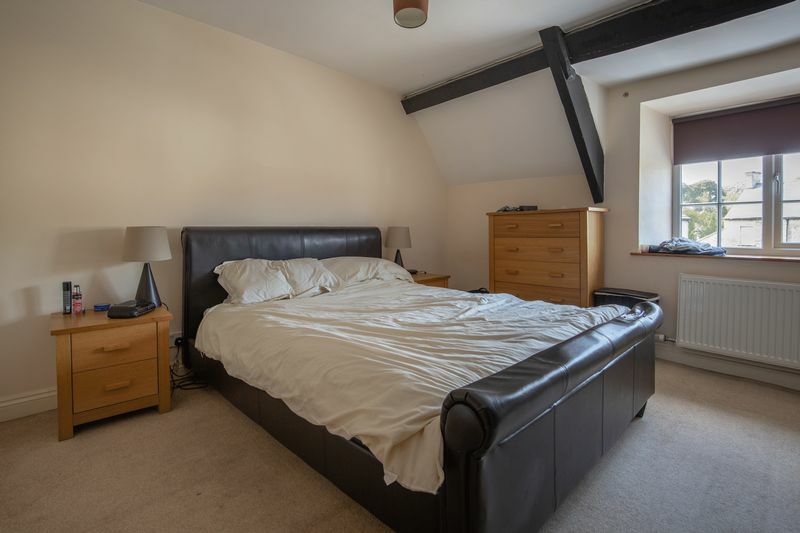 Two double bedrooms at the front of the house have great views over the market place towards the Castle and the river, and have lovely deep window sills and exposed beams. A third bedroom, which is currently used as a study, faces over the garden to the rear of the cottage. 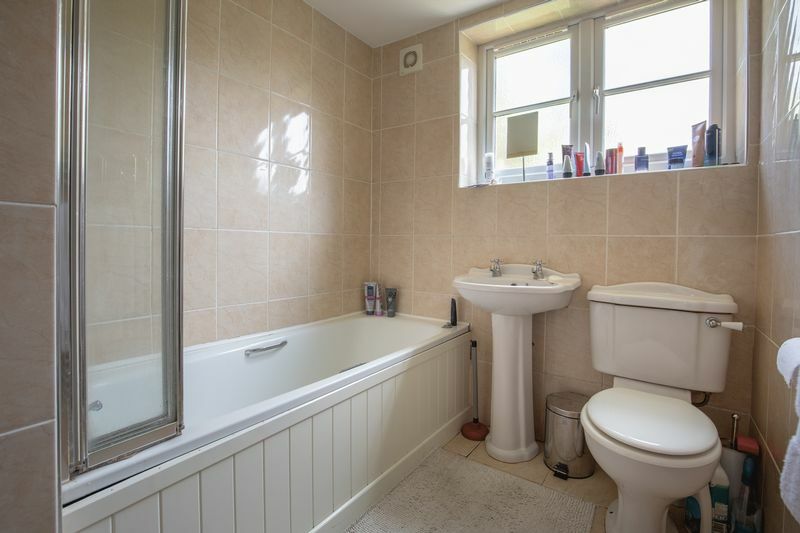 The bathroom is fully tiled and has a white suite, with a shower over the bath. 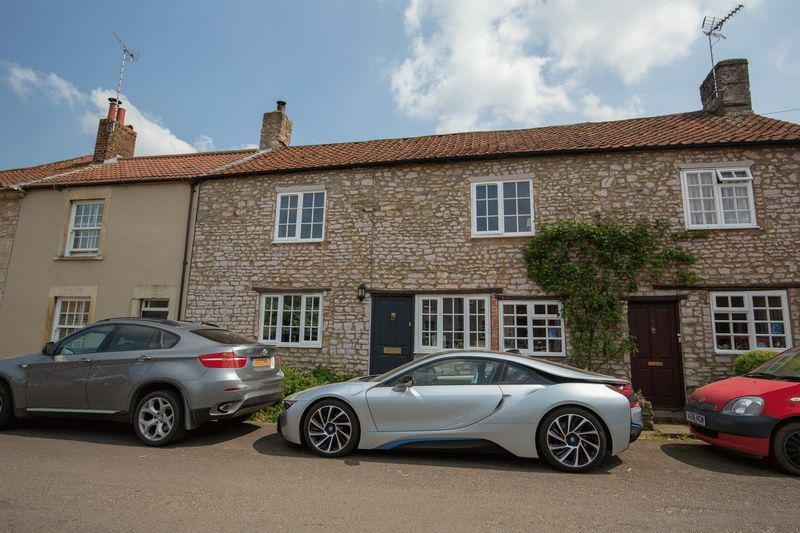 The cottage leads straight off the market place, and there is space on the road outside to park two cars. 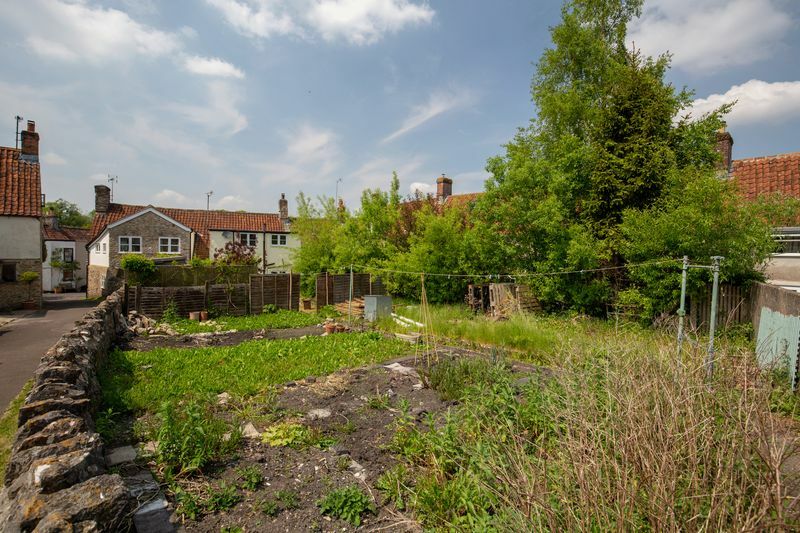 To the rear of the house is a good size garden, the top part of which has recently been put to use as a kitchen garden. The cottage faces the market square, where there is additional parking. Nunney is a fantastic village with a vibrant, friendly community as evidenced by the village website www.visitnunney.com, which is run by local residents. The turreted, moated castle at the centre of the village stes a medieval, French flavour and the streets around the castle are filled with picturesque cottages such as this one. In addition to the castle and the river, there is a church, a pub - The George at Nunney - the Moat and Turret "cafe by the castle" and there is also the popular diner at Nunney Catch. Nunney has a village shop, and a village hall and the post office in Mells comes to run a post office in Nunney twice a week. 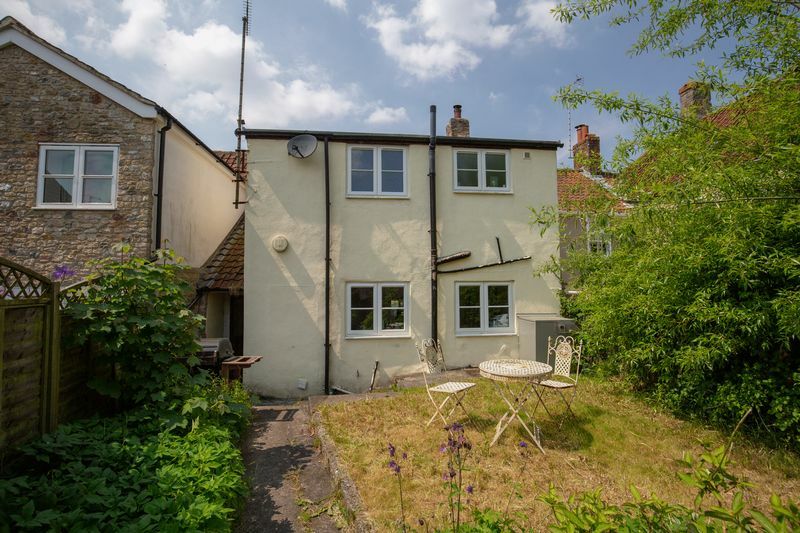 The nearby A361 links Nunney to the neighbouring larger towns of Shepton Mallet and Frome, which has recently been featured in the Sunday Times as the best place to live in Somerset. Frome has become a "hipster haven" due to the influx of young families, with StCatherine's Hill at the centre of the artisan quarter. The town has a comprehensive choice of retail outlets and all the usual amenities. Founded in 2013 the "Frome Independent"is an award winning independent street market that is held on the first Sunday of every month and attracts 80,000 people a year. 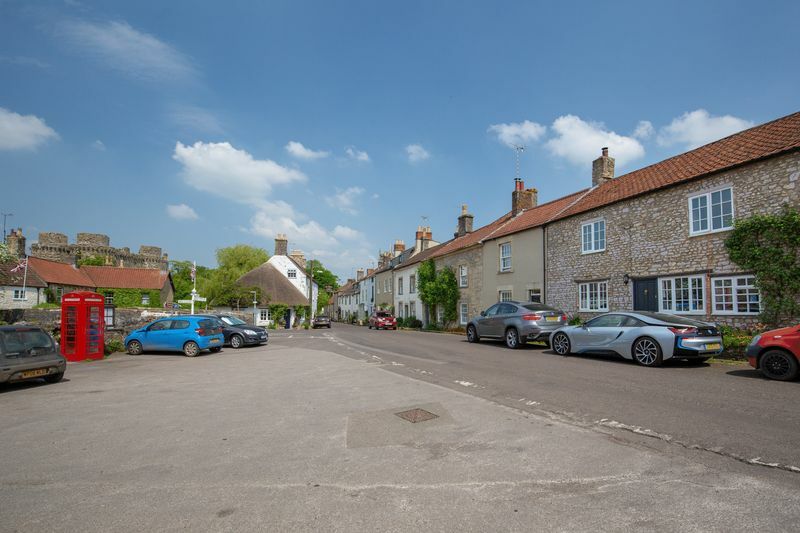 Bruton is a short distance away along the A359 where the Hauser and Wirth gallery with the acclaimed Roth Bar and At the Chapel are popular eateries. There are First Schools in Nunney and in nearby Mells. Oakfields and Selwood Middle Schools are in Frome, as is Frome Community College for students aged 13 to 18. In nearby Bruton are Sexeys state boarding school as well as the independent schools Kings School, Bruton and Bruton School for Girls. Other nearby independent schools include All Hallows, Downside, the Bath schools including Prior Park, Monkton Coombe and King Edwards. Oil central heating, mains electric, water and sewerage. From the A361 take the turning to Nunney from the Nunney Catch roundabout. Follow the road into the village until you arrive at the market place in the centre of the village. If you are standing outside the red telephone box in the market place, no 4 will be on the opposite side of the road .